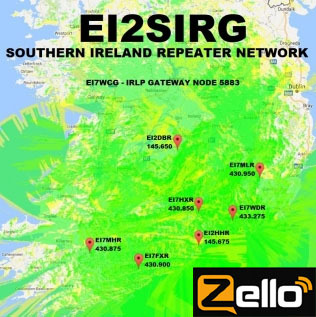 Zello which was added to our VoIP gateway two years ago to allow our repeater keepers monitor the network remotely has now been make available to licensed Radio Amateurs. Until recently access to Zello was restricted to a small group of our members but with the rise in popularity of network radio we began getting requests for access from other Radio Amateurs who spotted our presence on Zello. This has seen a notable increase in activity on the network. Information regarding access to our Zello channel can be found on the Internet Gateway page.